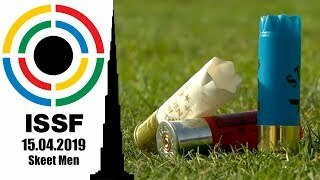 Medals, fun, great competitions and enthusiast spectators: the summary of the 2nd Youth Olympic Games in Nanjing, after the last Shooting event. Thank you Nanjing! Today’s 10m Air Rifle Mixed International Team closed the Shooting Sport program at the 2nd Youth Olympic Games, held in Nanjing (CHN), an event that will be remembered as a milestone of our sport. Shooting sport events were staged at the Fangshan venue, from the 16th through the 22nd of August. 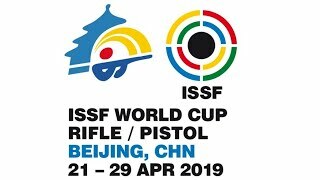 80 young shooters from 57 countries competed in 10m Air Rifle and Air Pistol events, and had a chance to try the Mixed International Teams events that combine athletes from different genders and nations – a new competition introduced in occasion of this second Youth Olympic Games edition. 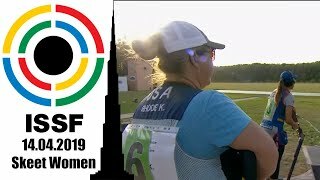 For the first time in a major competition, a DJ joined the shooting range staff playing music during the competitions, adding that fun factor that is the fingerprint of the Youth Olympic Games. Young athletes had a great time here, and enthusiast public on site joined by thousand of active social media followers stated the success of the event. It all started with the 10m Air Pistol Women event, won by Poland’s Agata Nowag on the 17th of August. The following day, Pavlo Korostylov of the Ukraine secured Gold at the 10m Air Pistol Men event, carrying on a family tradition: his father was indeed a member of the URSS national pistol team, and his sister competed in the 2004 Olympic Games in this discipline. The YOG Shooting Sport program continued on the 19th of August, when Switzerland’s Sarah Hornung won the 10m Air Rifle Women event beating the youngest world cup medallist of the ISSF history: Marina Lyndsay Veloso of Singapore, a 14-year old athlete who got into the sport after watching the 2010 Youth Olympic Games on TV. The host country, the People’s Republic of China, found its hero in Yang Haoran, who won of the 10m Air Rifle Men event on the 20th of August. The 18-year old student was the favourite, and he did not delude the expectations. Ranked first in the world in this event, he said the YOG were a great experience on his way to the ISSF World Championship in Granada. There, in two weeks, he will run for an Olympic Quota Place, a qualification slot for the 2016 Olympic Games in Rio. And that’s a goal that seems to be a bit closer, now that he pocketed Nanjing’s Gold with five points of advantage on the following finalists. The Mixed International Team events closed the shooting sport program of the 2nd Youth Olympic Games, yesterday and today. Bulgaria and Uzbekistan were the first-ever winner of the new 10m Air Pistol Mixed International Teams event, as Lidia Nencheva and Vladimir Svechnikov teamed-up to beat Singapore's Xiu Yi Teh and Egypt's Ahmed Mohamed by 10-5 in the gold medal match, yesterday. Today, it were Egypt and Hungary who celebrated the victory at the 10m Air Rifle Mixed International Teams event, thanks to Hungary's Istvan Peni, 17, and Egypt's Hadir Mekhimar, who won the match beating Argentina's Fernanda Russo, 15, and Mexico's Jose Santos Valdes Martinez, 17, with a stunning score of 10-2. The success of the competition was remarked by the ISSF authorities, following the event here in Nanjing. “Athletes had fun. Spectators had fun. We could not ask for any better.” Mr. Schreiber continued. “The Organizers did a great job. Everything worked well here at the Fangshan venue, and in general the whole organization positively impressed.” Mr. Brokamp continued.